The U.S. government does not plan to request the extradition of alleged LulzSec member Ryan Cleary, the British man's attorney said in a statement late Friday. "We understand that the U.S. prosecutor has stated that should Mr. Cleary be dealt with by the U.K. courts in respect of these charges then the U.S. will not seek Mr. Cleary's extradition," according to a statement attributed to Karen Todner, managing director of Kaim Todner Solicitors. U.S. officials could not be immediately reached Sunday. An FBI spokeswoman said on Thursday that the U.S. would decide whether to ask for Cleary's extradition once his U.K. court proceedings had finished. 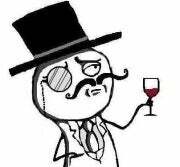 Cleary, 20, of Wickford, England, was indicted by a U.S. grand jury on charges he provided technical coordination to LulzSec, or Lulz Security. The hacking group vandalized websites and stole data from companies including Sony Pictures Entertainment and Fox Entertainment Group. Last year, the U.K. charged Cleary with five computer-related offenses for alleged attacks against the websites of the International Federation of the Phonographic Industry, the British Phonographic Industry and the U.K.'s Serious Organized Crime Agency. Cleary has been diagnosed with Asperger's syndrome, a neurological disorder related to autism characterized by deficiencies in social interaction, according to Todner's office. Extradition to the U.S. would be "totally undesirable," Todner's statement said. Todner also represents Gary McKinnon, who was indicted by the U.S. District Court for the Eastern District of Virginia in 2002 for hacking into 97 military and NASA computers between February 2001 and March 2002. McKinnon, who has publicly admitted to the hacking, also suffers from Asperger's. His extradition was approved by the British government in 2006, but the U.K. Home Office has held up his extradition pending a review that started in 2010.